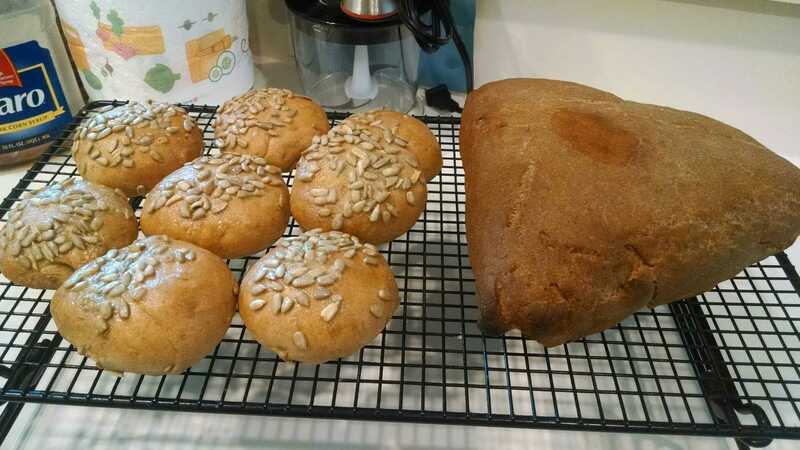 Very similar, very quick bake... actually could stagger the steps and make both batches of dough about the same time... fun times with my sisters. Getting prep done for Thanksgiving!!! Happy Holidays to everyone of every culture! All three of you seem to have had successful bakes. How was the crumb? Isn't it nice learning new techniques to shape bread (i.e., folded rye)? The color on your crust looks nice on both. Also, I will agree with you Happy Baking is Universal. I look forward to our ventures in Week 4. Happy Holiday to all three GMA's. 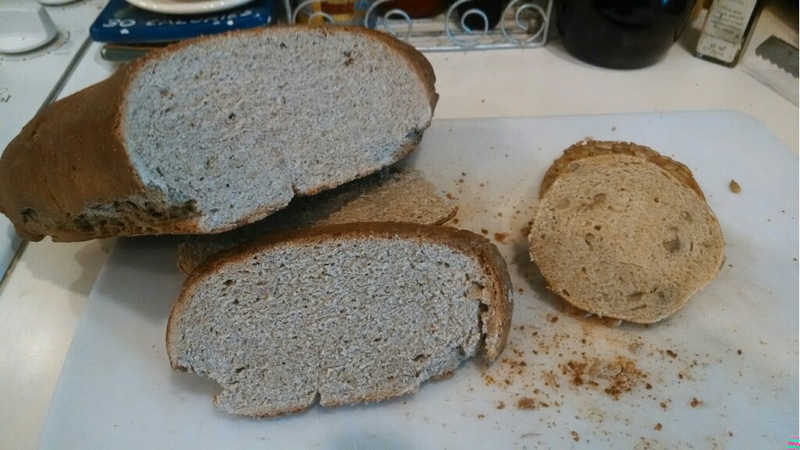 The crumb was finer... and drier in the loaf... the rolls were dense, but lighter than the bread... does that make sense.... not bricks... but not Wonder Bread either. Not that I'm an expert... far from. 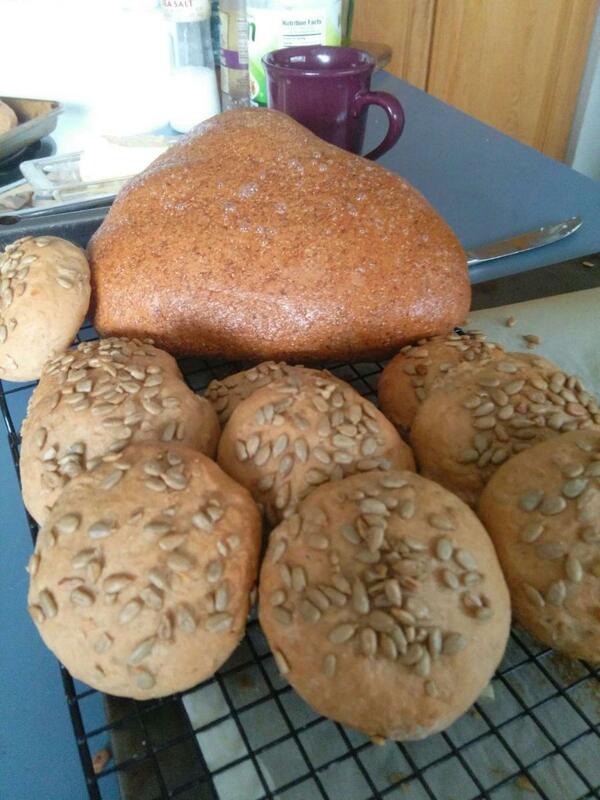 Very new at baking with Rye. It appears that Rye is much denser. I agree with some that I've baked the crumb is finer. The taste is very good. I don't want Wonder Bread. these look great. 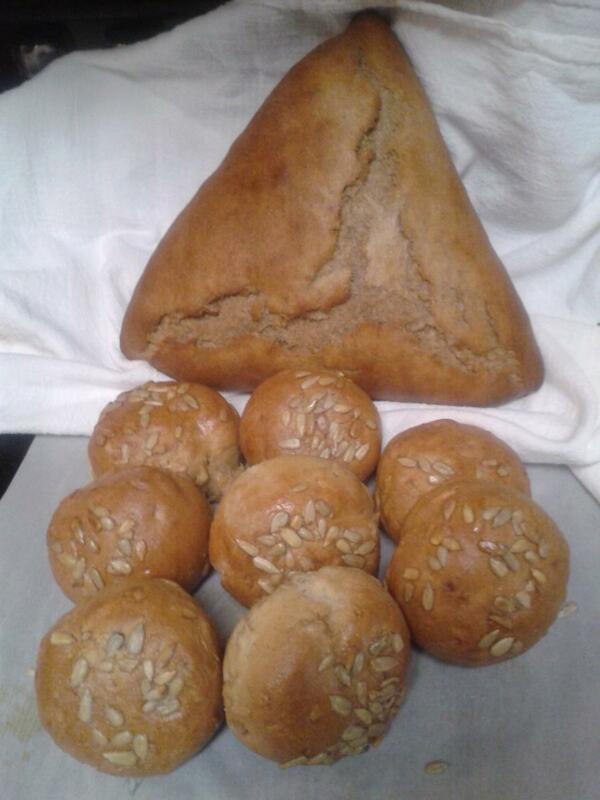 That folded bread is also unique. Well done. 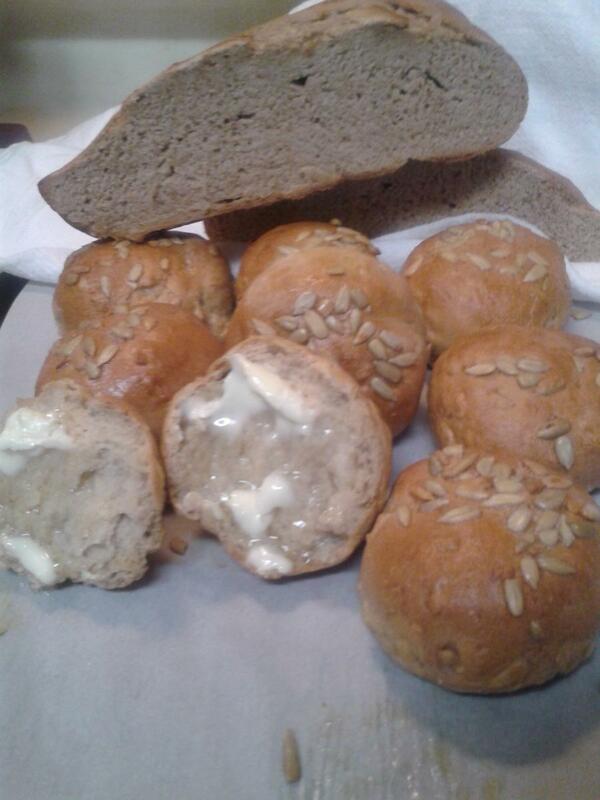 I haven't even started to think about thanks giving yet and what breads to bake for the dressing this year? I did get the puff paste ready for the Rugelach a couple of weeks ago so that is the hard part lreafy done. Nice and rye tasty... The rolls lighter texture. The folded rye looks interesting. Would like to hear about the flavors and crumb. These all look terrific. I just posted my last bake and will have to make week 4 while I'm in North Carolina for Thanksgiving. Have a great holiday and look forward to see what you all come up with for your holiday baking. I'm sure it will be delicious.